Develop your intuition and live a joyful, grounded, empowered life. WHAT IF YOU HAD A DEEP KNOWING THAT EMPOWERMENT, INTUITION AND SOULFUL GOODNESS IS WHAT YOU ARE MEANT TO EXPERIENCE EVERY DAY? What if you learned to listen to your inner voice, interpret your visions, receive the messages your body shares and honor who you are as a spirit? Choose to be with yourself and the magic the universe is constantly sharing. You deserve to be living a life that is abundant, full of joy, magic with constant access to your deepest wisdom. This comes from fluidity. Let it flow. Imagine eight weeks of connecting with your intuition, receiving soul focused perspectives, exercises, meditations, to ignite your intuition and bring you into soul-centered living. This 8-week self-study experience will guide you into living your life leading with intuition. It marries your intellect with your intuition so that you are living life from your highest potential. Experience 8 weeks of audios, videos, guided meditations, journaling prompts focusing on discovering your intuition and how to live intuitively - to life with less fear, with trust in yourself, connected to your light and your joy every day. This work includes guided visualization meditation, journaling, accessing *your* intuition, a variety of energy management tools, defining space and boundaries, and ways to create your desires. Are you ready to live intuitively - to life with less fear, with trust in yourself, connected to your light and your joy every day? WHAT IF EVERYTHING YOU NEED TO CREATE AN INTUITIVE SOUL-CENTERED LIFE YOU ALREADY HAVE? Your answers, your joy, your wisdom, your happiness all live within you. It is an intimate exploration and excavation to find the magic. It is simply practicing viewing these elements of you, in you, and all around you. It is simply having a new perspective, a spiritual energetic perspective, on everyday experiences that awaken the magic. Develop your intuition and live a joyful, grounded empowered life. Experience spiritual communication and perspectives, guided meditations, journaling through audios, videos and journal pages learning tools to ground, define boundaries, let go and create what you want in your life. Develop your intuition and live a joyful, grounded empowered life. Experience 8 weeks of spiritual communication and perspectives, guided meditations, audios, and journal pages learning tools to ground, define boundaries, let go and create what you want in your life. Develop your intuition and live a joyful, grounded empowered life. Experience 8 weeks of spiritual communication and perspectives, guided meditations, audios, and journal pages learning tools to ground, define boundaries, let go and create what you want in your life. This 8-week self-study course offers the foundational tools and concepts for all of Aimee's work. It is life changing. It is highly suggested to learn these tools and practices to receive an even greater experience and get more out of the community and any work with her. 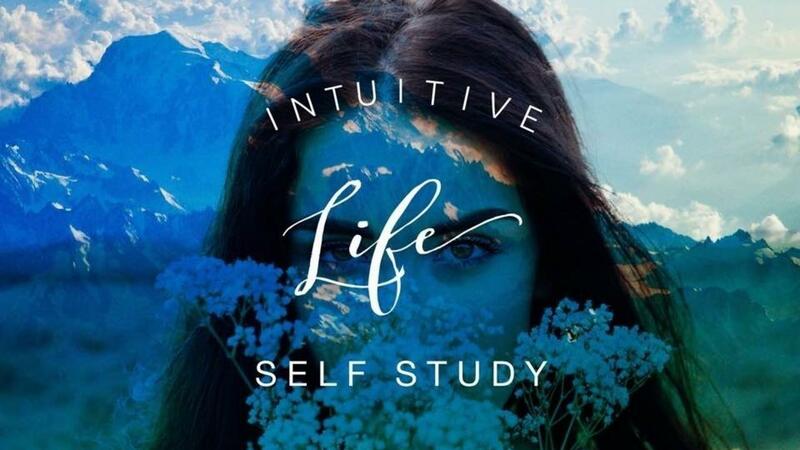 Aimee is so passionate and dedicated to creating as much impact as possible for you, she has this special $200 off the Intuitive Life Self Study offer for those who join the Intuitive Life Community monthly membership. This will enhance your experience and support you on your intuitive journey tremendously.